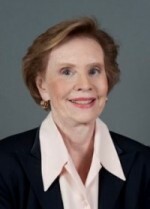 Senior Living In Middleburg, Va. The best part about living in a small town is that even when you don’t know what you are doing everyone else does. Have you ever wondered why it is customary for people here in the United States to retire at age 65? I have concluded that it is not because we are no longer mentally acute but because it is impossible to sandwich in a full time job amongst all the doctor’s appointments! At this point in my life the greatest sense of excitement comes from anticipation of learning what body part will be hurting that day. 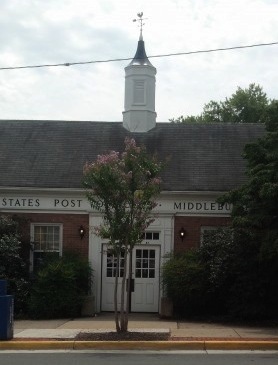 The Middleburg Post Office, the place to go for all the scuttlebutt. Middleburg, with its serenity and slower paced lifestyle, is ideal for senior citizens who want to step (careful, now) off the fast track. Awakening every day with lovely vistas of the Blue Ridge Mountains and miles of horse pastures is a sure fired way to chill. That is not to say that there are not lots of community activities. Horses are key here, so we have fox hunting, polo, carriage driving, and the oldest horse show in the U.S. For those not of the horsey set, there are many other events such as Shakespeare in the Burg, the Middleburg Film Festival,watching the Middleburg Hunt ride through the streets as part of the annual Christmas parade, free summer concerts, and many other events too numerous to mention. If you need to know anything about activities or gossip about anyone in Town you just go pick up your mail at the Post Office, where local gossip flows like Goose Creek. I have a guest towel that reads “the best part about living in a small town is that even when you don’t know what you are doing everyone else does”. On the other hand we locals are pretty protective of our celebs like Bobby Duvall and Willard Scott and say very little about them to outside snoopers “from away”. I guess if you want to be private we are happy to help. Not only is this a welcoming village for the young but an ideal place live out one’s golden years.